Xiaojing Chai is from a farming family in the countryside of Handan, Hebei Province. His family consists of his grandparents, his parents, Xiaojing himself, and his two younger brothers. 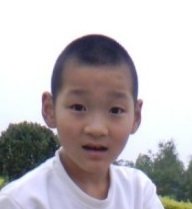 One of his brothers, eight-year-old Xiaohang Chai, is also congenitally deaf. His mother stays at home to care for the grandmother and the children. His grandfather works in the fields, while his father, during breaks in farm work, goes out as a migrant worker, trying to earn a bit of extra money. These are the family's only sources of income. After Xiaojing's birth, there did not appear to be anything unusual about him. However, after a fever, the family discovered something wrong with their child's hearing. They took him to many doctors who offered various treatments to no avail. 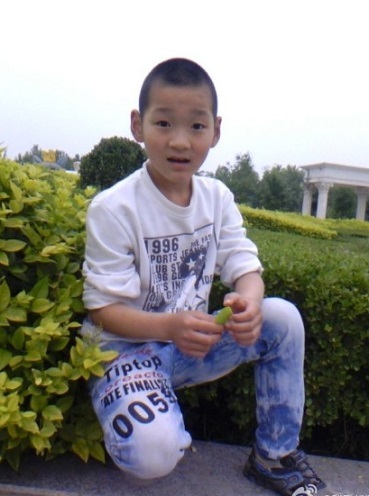 In 2010, the family took Xiaojing to Tongren Hospital in Beijing, where he was diagnosed with congenital deafness. The doctor recommended surgery with a projected cost of about 183,000 Yuan, including 168,000 Yuan for a cochlear implant, and 15,000 Yuan for the operation itself. As Xiaojing's younger brother Xiaohang is also congenitally deaf, these medical expenses for the two children have put the family into major debt. They are unable to pay for surgery, and so Xiaojing has not received his operation. Right now, Xiaojing's ears can detect sound, only very weakly, and he can speak simple words and phrases. The family truly does not want their child to go through life without hearing. We hope that caring people will reach out and help this boy. Every donation from you, every single cent, can change this boy’s life.